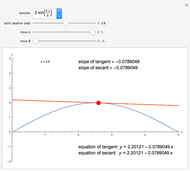 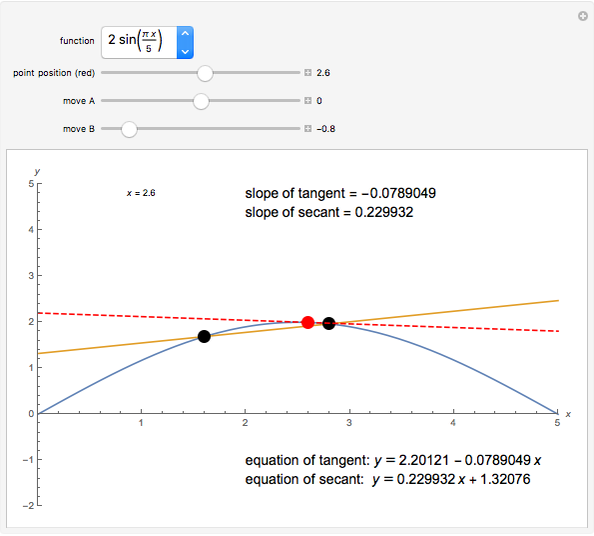 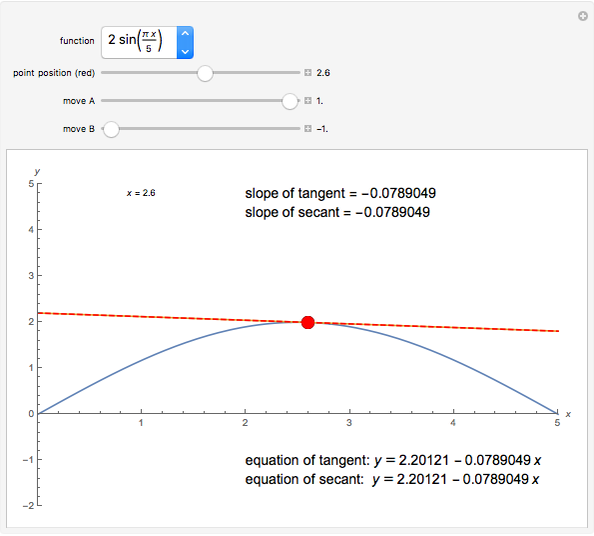 This Demonstration shows how to find the slope of the tangent line to a curve at a point by approximating it by a secant, that is, a line joining two points A and B on the curve. The approximation becomes better as the points draw nearer to the point of interest. Stephen Wilkerson "Approximating the Tangent to a Curve with Secants"